We show cells how to move. Neuronal network on patterned substrates with Laminin peptidomimetics. Research for better energy storage. Niobia/carbon nanofibers for high capacity energy storage in lithium ion batteries. In cooperation with the Saarland University Hospital, the INM has developed bioinspired adhesive structures for the treatment of eardrum injuries. The adhesive structures are now to be transferred into a biomedical product. Here you can see our latest publications in March. On the open day of the Saarland University, the INM will open its (laboratory) doors, too. Make sure you stop by ! Here you can see our publications in February. 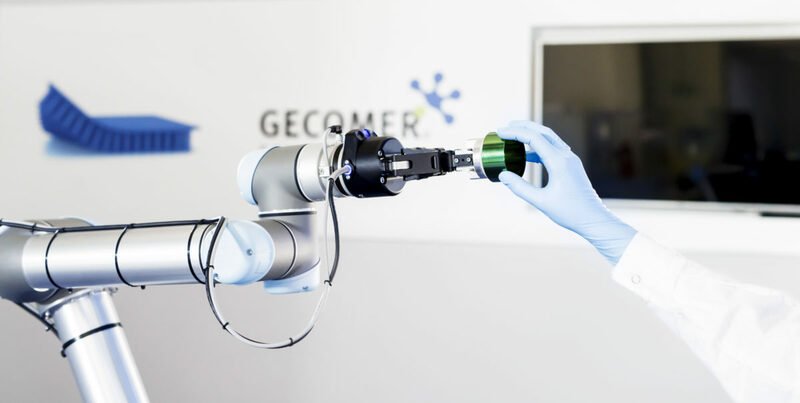 Scientists at the INM present a Cobot for the first time which is equipped with microstructured surfaces for the handling of objects. Because these structures are very soft and have no sharp corners or edges, the risk of injury to humans is further reduced. Due to the special arrangement of its molecules, a new coating made of corn starch is able to repair small scratches by itself through heat: The cross-linking via ring-shaped molecules makes the material mobile, so that it compensates for the scratches and these disappear again. 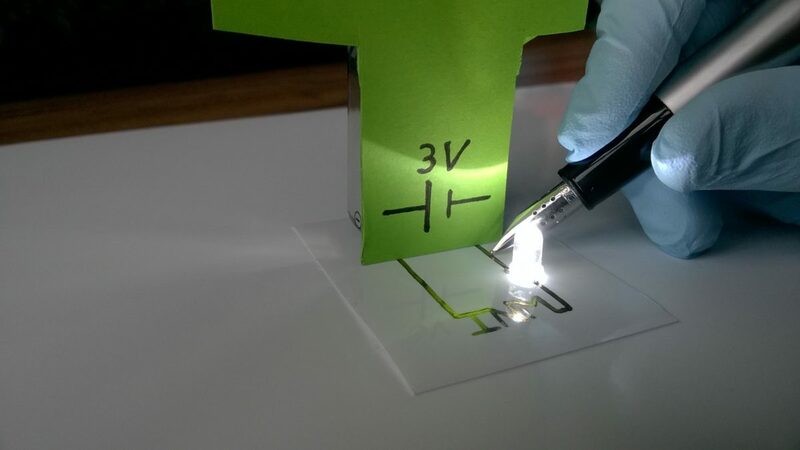 The INM has developed new processes with photochemical metallization and printing (gravure printing, inkjet printing) of transparent conductive oxides (TCOs), which are significantly more time- and cost-saving. 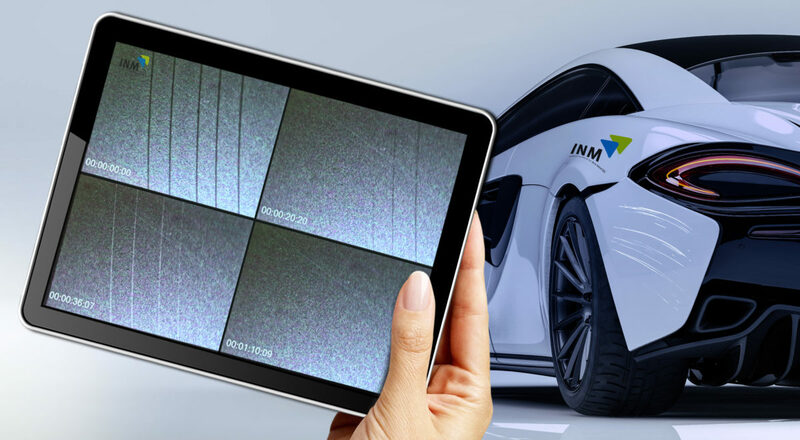 At this year’s Hannover Messe, INM will be presenting hybrid inks that are suitable for printing conductive structures on thin polymer films or paper, for example. The INM will be exhibiting at the Printed Electronics Europe 2019. Come and visit us at booth S08. We are looking forward to seeing you. The INM will be exhibiting at this year’s Hannover Messe. We are looking forward to meeting you at booth C54 in Hall 5.